Superior value, performance and quality! Sokkia's SET60 series combines rugged field-ready quality and accuracy and places it in an economical, compact design perfect for everyday measuring and positioning applications. 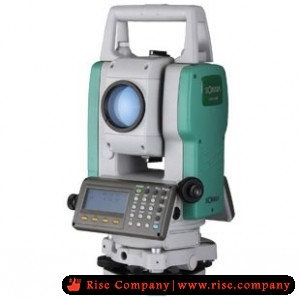 Meeting or exceeding the precision and durability of most competitive high-end models, the SET60 provides construction professionals and surveyors performing construction layout with a dedicated solution. The on-board software makes it easy to rapidly shoot points for quick adjustments or resets. For more advanced layout tasks use your SET60 with any of Sokkia's field controllers running MAGNET™ software. Magnification / Resolving power 30x / 3.0"